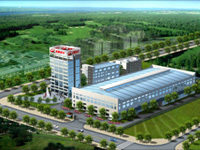 Chongqing Jialing-Jiapeng Industrial Co. Ltd. is the third subsidiary of JIALING Group which is the NO.1 motorcycle manufacturer in China with the production capacity of 2,000,000 vehicles annually. Chongqing Jialing-Jiapeng Industrial Co. Ltd., as the subsidiary of China JIALING Group possesses total asset of RMB20,000,000. It was founded in 1998. Our company has over 500 staff with more than 50 senior technicians and engineers. It has formed the production capacity of 300,000 vehicles, 500,000 engines and 100,000 general machineries annually. Now over 80 varieties of motorcycles, such as scooters, off-road bikes and engines are our leading products. Jiapeng brand motorcycles, to be the second brand of China Jialing Group, have been awarded the certificate of “CCC” and the Quality Management System of ISO9001 etc., which guarantee the good quality and the stable performance. The main products and spare parts have been exported to over 20 districts and countries: such as Pakistan, Africa, Bengal, Korea, Nigeria etc. Our products are welcomed and sold well in the international markets with its good performance and competitive prices. Now we have established good cooperation relations with many customers. With the development of our company we newly invest to build a 270-acre new factory in order to adapt the international competition situation and make the contributions for the local development. We will constantly promote the quality and performance to become into one of the best motorcycle enterprises in china. Trust JIAPENG brand motorcycles, we will give your best service. It’s your best choice.